Plaza Health Network, a Miami-Dade based network of rehabilitation and skilled nursing centers, announced receiving quality assurance and performance improvement accreditation for all seven of its facilities earlier this week. The Providigm Quality Assurance & Performance Improvement (QAPI) accreditation is based on standards for excellence in continuously improving quality of care and life for nursing home residents. Each quarter, centers are evaluated for comprehensive assessments, ongoing initiatives, representative unique patient assessments and corrective improvement processes, and must meet all four pillars for the preceding 12 months to earn accreditation. "We're delighted to receive this across-the-board recognition for the important work we do every day," said Elaine Bloom, Plaza Health Network CEO and President. "I'm very proud of every member of our team of more than 1,400 employees for their daily dedication to quality." Providigm also granted its 2015 Embracing Quality Awards to Plaza Health Network. Getting a nod for being among "the top performing nursing homes and centers in the United States and Canada" are Arch Plaza, Jackson Plaza, Pon ce Plaza, Sinai Plaza, South Pointe Plaza and University Plaza. The Health Care District of Palm Beach County promoted COO/CFO Darcy J. Davis to permanent CEO at a special board meeting on Thursday. The Health Care District is a taxing authority that operates primary care clinics throughout the county, Lakeside Medical Center in Belle Glade, a health care plan, a pharmacy, employs public school nurses, and has a skilled nursing and rehabilitation center. It also provides financial support for trauma services at county hospitals. Ronald J. Wiewora resigned as CEO in July 2015. "I'm honored that the Health Care District Board has entrusted me with the leadership of this important organization," Davis said. Dr. Carla Ginsberg has joined the medical group. 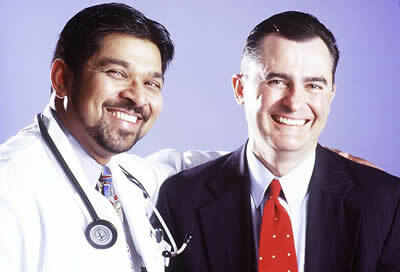 Dr. Ginsberg graduated from Mount Sinai School of Medicine of New York University. She then completed her Residency at Mount Sinai Hospital and Brigham & Women's Hospital. She also completed her Gastroenterology fellowships at Harvard Medical School, Yale University School of Medicine and Brigham & Women's Hospital. Martha Musino recently joined Miami-Dade based Westchester General Hospital as Chief Nursing Officer. A University of Miami graduate, Ms. Musino will oversee all hospital nursing operations, as well as provide staff development to all nurses and certified nursing assistants. Miami Medical Consultants has hired Justin James Polga, MD. Dr. Polga received his undergraduate degree from the University of Pennsylvania and attended medical school at Tufts University.